• Slave mode (0-10V) or stand alone mode. • It is possible to connect one or two temperature probes. • Permits to incorporate one CO2, NH3, humidity or exterior temperature probe to activate the emergency. • Emergency input, which leads the air inlets to the selected position. • Anti asphyxia system for the power supply failures includes internal battery. • Valid percent to avoid the continuous movement. • Display with backlight 2 x 20 characters. • Permits to control the battery status. • Permits to change the language of the messages. • Possibility of personalized settings. • Velocity reduction when approximates to the target. • Output 0-10V. to control other devices. • Optionally connection with a PC and Internet access. 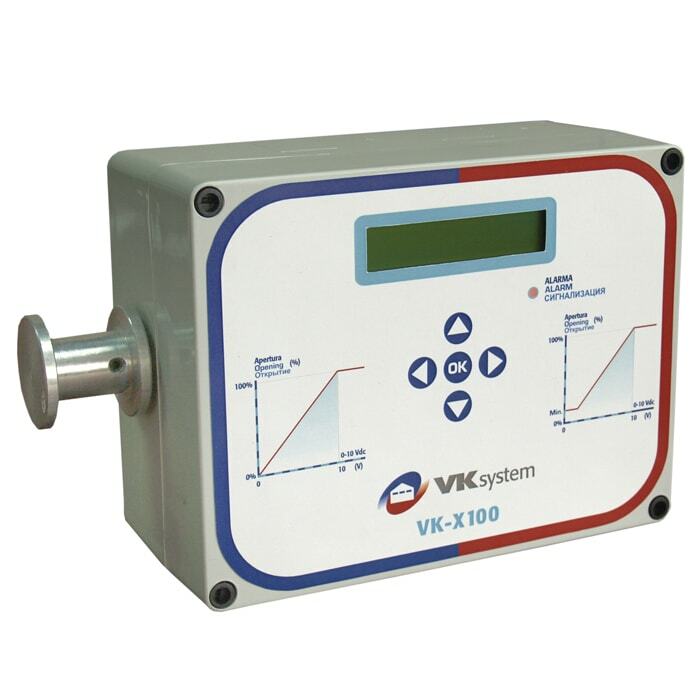 • Available version X100-S for farms without power grid (power supply with external battery).